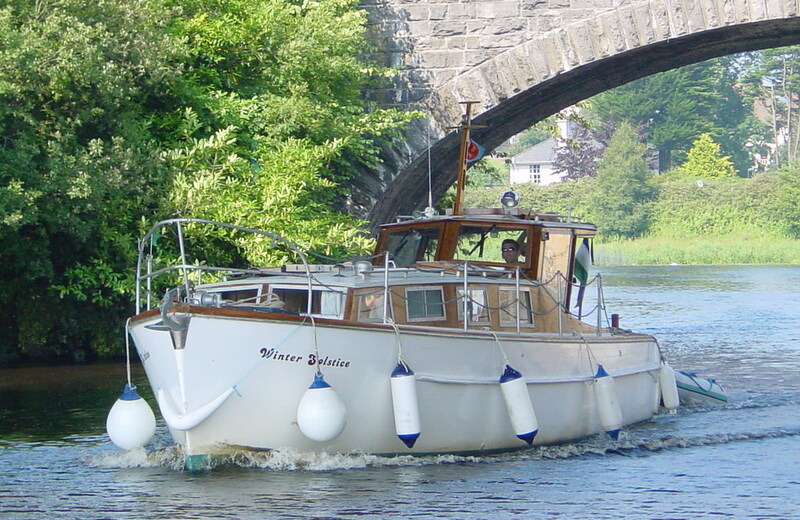 There is a great variety of vessels floating around on the Irish inland waterways. There is no commercial traffic, apart from a hotel boat, the occasional trip boat and a few work-boats, dredgers and so on, but there are lots of pleasure boats: wooden boats, fibreglass boats (which we try not to talk about) and iron and steel boats. My wife and I own a steel boat; its photo is at the head of the front page of this blog. I have more photos of wooden boats here, here and here. The best place for photos of (former commercial) iron and steel barges is the website of the Heritage Boat Association. Here is a page showing some of the workboats in the fleet of Waterways Ireland, the navigation authority. Here are some of the smaller traditional boats (and replicas of such boats) of Irish inland waterways and estuaries. This page is for illustrations of older working boats. Here are non-WI workboats: working vessels — including police boats, hotel boats, trip boats and sand barges — that are not operated by Waterways Ireland. the abandoned iron barge at Plassey .